The Possessions is a novel that dips its toes into a number of genres with ease. Within its pages you’ll find supernatural spirit channelling brought on by advanced medicine, an illicit, obsessive romanceand at the very centre of everything, a duo of mysterious deaths. The Elysian Society offers a unique service to clients: the ability to reconnect with dead. Our protagonist, Edie, works within this society as a ‘body’. She spends her days with clients desperate to revisit their lost loved ones. By taking mysterious pills known only as ‘lotuses’, Edie is able to become a host body for the dead to speak through for limited periods of time. Despite her fantastic occupation, Edie leads a quiet and uneventful life – that is, until she meets Patrick Braddock. When Edie begins to channel the spirit of his late wife Sylvia, her life and the circumstances surrounding Sylvia’s death collide. Edie quickly becomes enamoured with Patrick, and it doesn’t take long before she is breaking the rigidly enforced rules of her profession to be with him, and let him be with Sylvia. As the encounters between Patrick and Edie move beyond the walls of the Elysian Society, and the possessions by Sylvia grow longer and far more intimate, Edie risks losing herself entirely. This is a compulsively readable book. The world of the Elysian Society is intriguing and dark, and there is an underlying danger to Edie’s line of work that I was constantly wanting to learn more about. When we are finally allowed to witness a possession from the other side of things, it is both satisfying and totally horrifying. 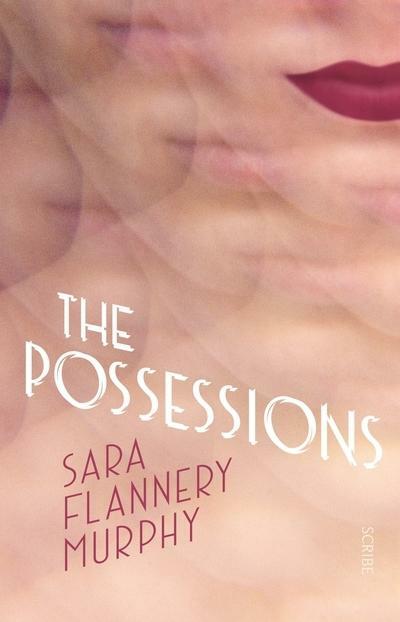 The Possessions has the pace of a crime thriller, but for me, the goings on at the Elysian Society are the highlight of this novel, save for its chilling ending. The final few pages are particularly twisted, and gave me goose bumps.